From drying delicate samples or everyday labware, to ashing waste in water treatment plants, to performing high-temperature quality tests in manufacturing, Thermo Scientific™ heating equipment helps deliver consistent results with products you’ve depended on for over 25 years. Select from a broad range of heating equipment to meet specific application requirements, including heating and drying ovens, and vacuum ovens and furnaces. Our heating and drying ovens deliver consistent results from a variety of models to meet your application needs. Our vacuum ovens portfolio comprises several product lines to address applications from fast vacuum drying up to sophisticated gentle drying, and defined heating under vacuum or with inert gas. Our portfolio of furnaces includes: box, ashing, tube, crucible furnaces, and a special asphalt testing furnace. They can be used for many applications, including gravimetric analysis, sintering, quantitative analysis, and heat treating. We offer a variety of accessories to enhance and optimize the performance of your laboratory ovens and furnaces, including oven floor stands and stacking kits as well as furnace exhaust connections and racks and shelves. 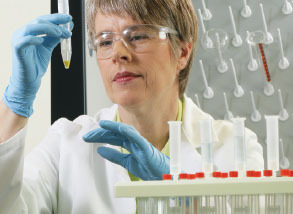 Thermo Scientific Smart-Vue™ wireless monitor solutions can ease your concerns when working with heating equipment in your laboratory. Electrothermal Heating Mantles are known throughout the world for producing high quality, robust and safe equipment. The range of Electromantles is diverse, offering a heating solution for most applications, including heating and stirring, multi-position, V-shaped and spill-proof.